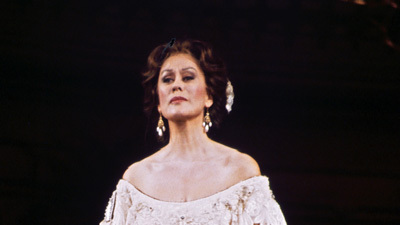 Kiri Te Kanawa, in one of her signature roles, delivers a heartfelt and elegant portrayal of the title heroine of Strauss’s bittersweet comedy. Kathleen Battle is her sister, Zdenka, David Rendall sings Arabella’s suitor, Matteo, and Bernd Weikl stars as Mandryka, the country squire who wins Arabella’s heart. The great Erich Leinsdorf is on the podium in his final Met performance—45 years after his company debut.